This is what I wore Sunday for Easter. I would’ve posted sooner, but I’ve been busy up the wazoo! 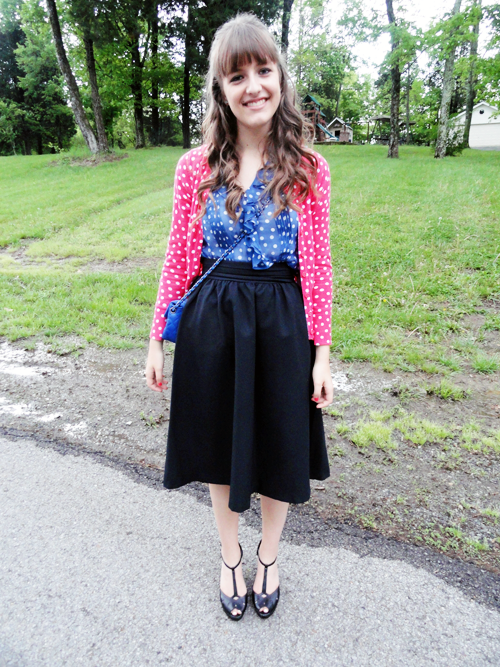 I realized that this beautiful arrangement of polka dots outfit only cost around $33! 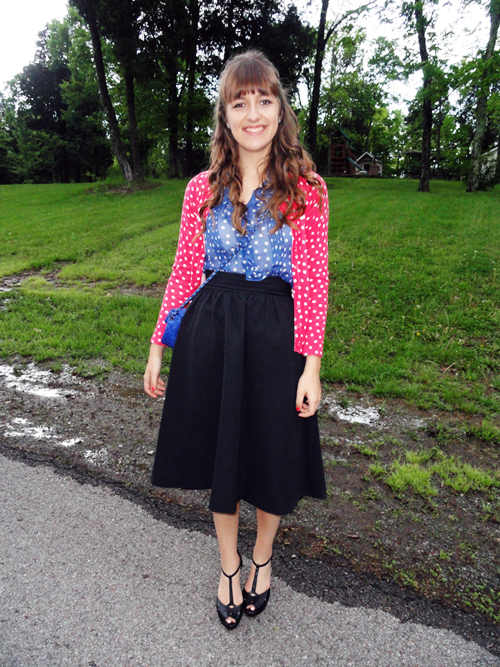 The cardigan was on sale at Target for $8, the silk blouse for $4 from Goodwill (I get all of my vintage clothes from Goodwill), the perfect-in-every-shape-and-form skirt (seriously, so well made!) I got from good will for $7, the bag from Goodwill was $4, and the shoes from Urban Outfitters were on sale for $10.